There are plenty of exercises for maintaining your overall health and well-being. From cardio drills and strength-training reps, to flexibility and core training, you’ll never run out of ways to stay fit. But which routines are best for weight loss? There are multiple that can help speed up the process, but remember: Eating a well-balanced diet is just as important – if not more – if you want to reach your fitness goals. To lose weight, you’ll have to find a way to rev your metabolism and burn loads of calories. The easiest way to accomplish this is by interval training. Professional trainer Holly Rilinger told Self magazine that this consists of any form of exercise that raises your heart rate and brings it down repeatedly. 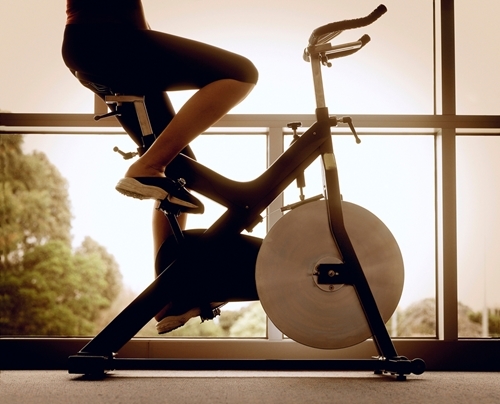 A great example of an interval routine is indoor cycling, also known as Spinning. Rilinger said it’s an excellent form of cardio, but it also challenges most of your muscles, including the quads, hamstrings, glutes and core – two essential factors for burning maximum calories. 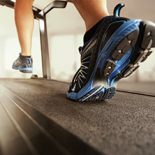 You know that cardio burns dozens of calories. But weight training will build the muscle that’s necessary for boosting your metabolism and shedding the pounds in the first place. It’s common to assume lifting weights will just bulk you up, but Trainer Tia Falcone told POPSUGAR that building that sturdy foundation with weight lifting is key for slimming down fast. Are you new to the world of weight lifting? Check out this beginner’s guide by Bodybuilding.com to get started. A mixture of high-intensity interval exercises and weight training can maximize your results and lose weight fast, especially when you add heart rate training. PULSE X at Steel Fitness Riverport is a heart rate-based, outcome-driven team training program designed for all fitness levels and interests. Individuals participating in PULSE X can monitor their heart rate, calories burned, time and effort levels for added motivation and accountability. We offer over 50 classes per week – so if you’re ready to shed those pounds, check out our PULSE X schedule or contact us at 610-624-2717 today.